1957 Chinese advert for Hua Nan Motors promoting De Soto and Peugeot. 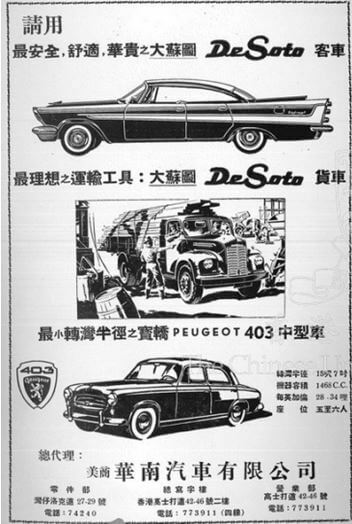 From the 1940s to the 1960s, Hua Nan Motors Federal Co Inc (華南汽車公司) was a major car dealership in Hong Kong which served as exclusive distributor of American automobile brand DeSoto and French car brands Peugeot and Renault. In the 1950s, the dealership operated out of 42-46 Gloucester Road in Wanchai (currently the Jubilee Centre) with its showroom on the ground floor and offices on the second floor. 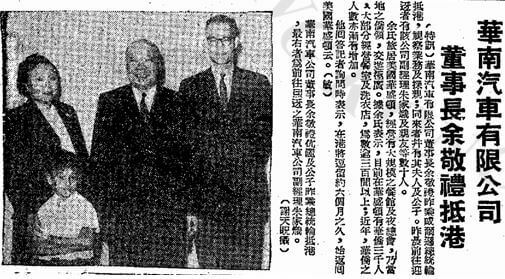 It also had a showroom in Kowloon at 88-90 Argyle Street and an auto parts outlet at 27-29 Lockhart Road. DeSoto was a mid-priced brand marketed by Chrysler Corporation from 1928 to 1961 and Hua Nan was founded in 1947 as a China Trade Act corporation to represent DeSoto cars and trucks in South China by Chinese American businessman King-Lai Yee (余敬禮, 1884-1963). He eventually moved to Washington DC where he set up the Washington Catering Co. 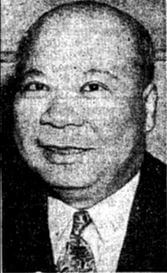 In 1937, he purchased a nightclub by the name of La Paree at 14th Street Northwest from Lee Fong and renamed it Bamboo Garden. Three years later, he changed the name of the club to Casino Royal. 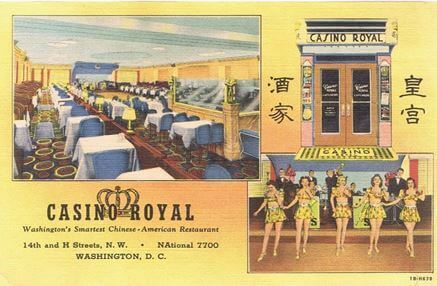 Featuring an orchestra led by Jivin’ Jack Schaffer and a string of dance and vaudeville acts, the club served up Broadway style entertainment and Americanized Chinese cuisine in the 1940s. This article was first posted on 20th January 2017. Thank you so so much for updating us on our grandfather’s past! Wow very interesting! It’s nice to see a bit of history which provided us with an opportunity for a better life for my brothers and sisters (12). We’re all are very thankful for it and hope to carry on his legacy of honesty and hard work !